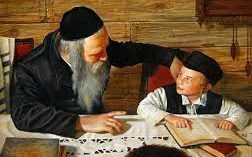 Pesach Learning Tonight – Go to your Seder with something to say! Click on here to subscribe to the IsraelB newsletter to get all the information you need of what’s on! 2 worthwhile learning experiences tonight to give you something to say for the Seder: The Ramban Bet Midrash – Click on here for details. Sivan Rahav Meir – Heichal Shlomo, 9pm. Monthly Tel Aviv Tenach for Women – Tonight!